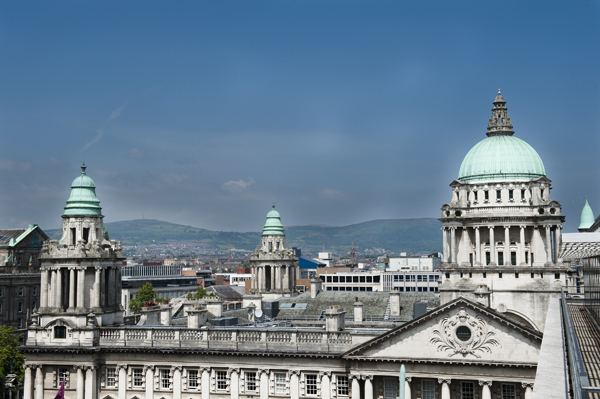 BELFAST residents have pinpointed attracting investment to Belfast as the top priority for the city. That’s according to the results of the 2017 Belfast Residents’ Survey conducted by Belfast City Council. Other high ranking priorities are improving people’s health and wellbeing, supporting our older people, improving safety, reducing crime and anti-social behavior, creating more jobs and reducing poverty. Resident surveys are conducted every two to three years to help Belfast City Council plan and set priorities. The 2017 survey was based on the views of 1,500 residents interviewed at home, who were asked for their feedback on living in Belfast, their improvement priorities for the city, their local area, their wellbeing and Belfast City Council performance. Councillor John Hussey, Chair of the Council’s Strategic Policy and Resources Committee, said: “It’s heartening to know that the priorities set out in The Belfast Agenda are in sync with people’s concerns, as we work to make Belfast a place where everyone benefits from a thriving and prosperous economy. 91 per cent of those surveyed were satisfied with their local area as a place to live – an increase of 5 per cent from the last survey in 2014. When asked about one thing that would most improve the quality of life in their local area, the issues most frequently mentioned were: less dog fouling, more bins, more for children and young people, improved parking and more jobs and employment opportunities. 92 per cent felt that Belfast was a good place to visit and 86 per cent felt that people in Belfast were friendly, caring and compassionate. 94 per cent indicated that they felt fairly or very safe in their local area during the day (up from 91 per cent) and 82 per cent indicated that they felt fairly or very safe in their local area at night (up from 80 per cent). Perceptions of safety in the city centre also showed improvement with 91 per cent feeling fairly or very safe in the city centre during the day (up from 78 per cent) and 65 per cent feeling safe at night (up from 58 per cent). Feedback was generally positive in relation to Belfast City Council performance, with 81 per cent agreeing the Council makes Belfast a better place to live (up from 69 per cent in 2014), 74 per cent agreeing the Council shows good leadership for the city (up from 65 per cent in 2014), 78 per cent of respondents satisfied with how Council runs things (up from 69 per cent in 2014), 87 per cent agreeing that the Council keeps residents either very or fairly well informed about the services it provides (up from 64 per cent in 2014 and 54 per cent in 2010) and 68 per cent agreeing that the Council consults with and listens to the views of local residents (up from 60 per cent in 2014 and 36 per cent in 2010). 76 per cent of those surveyed agreed that Council should have more power and responsibility for delivering services and developing the city. Go online at www.belfast city.gov.uk/belfastagenda to find out more.